Arsenal won the UEFA Women's Cup in 2007, Alex Scott netting the winner. If in the 1990s and 2000s, Manchester United dominated men's football, then Arsenal would certainly conquer all before them in the women's game. Under the stewardship of one of football's greatest coaches, Vic Akers, the North London outfit would truly revolutionise the sport in Britain. Arsenal Ladies (now Arsenal Women) were founded in 1987 by Vic Akers himself, the man who would spend 22 years at the helm, recording a stunning 33 major trophies. Akers did not light up a football pitch during his own career and following retirement, joined Arsenal in the role of kit man before moving to found the Ladies in the late 1980s. In 1992 their first trophy, the League Cup, was secured but as mentioned, the 2000s would be where the club changed the women's game. 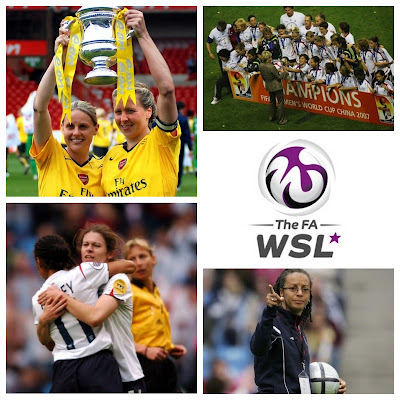 The turn of the millennium started strongly for The Gunners, in the 2000/01 campaign a league title was won; Arsenal then completing the treble with the Woman's FA Cup against Fulham at Selhurst Park and FA Women's League Cup 3-0 over Tranmere. If that year was setting the expectations high, it was nothing for what would come over the next decade. Arsenal's scintillating brand of football secured domestic doubles in 2003/04, 2005/06 & 2007/08, the women going one better with trebles in 2006–07 & 2008/09. 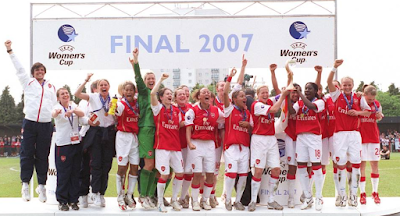 Arsenal to this day too, remain the only British women's side to win the UEFA Women's Cup (now the UEFA Women's Champions League), a feat recorded in 2007 over two legs against Swedish side Umeå IK. Arsenal Ladies' 2000s role of honour reads like a Hall of Fame of the women's game. Forward Kelly Smith netted 73 times in 66 league appearances for the club in the 2000s, right-back Alex Scott and centre-back Faye White being two of England's finest ever defenders and winger Rachel Yankey a legend in her own right. It wasn't just English talent though, Scot Julie Fleeting the hat-trick hero in the 2004 Women's FA Cup Final whilst Jayne Ludlow, current Wales Women manager, was a midfielder for The Gunners during the decade. There's plenty more to be said about the Arsenal Ladies, perhaps a future blog dedicated to the side! In the mean time, check out their official website for more. Germany are unrelentingly good at football. We know that, we've witnessed it over the decades in the men's game. However, the German women's side are perhaps equally deserving of kudos for their fine successes too. Just like in Britain, the German Football Association took the decision to ban women from playing the sport. The ban, that started in the 1950s, stretched to 1970 when the decision was finally reversed. In 1989, West Germany would secure a first trophy, the European Championships with a 4-1 win over Norway. Following the fall of the Berlin Wall later in 1989 though, the united German side did not set the world alight initially. The 1990s finished with Germany losing to eventual winners USA in the 1999 World Cup but it would be 2003 that the German's time would come. Hosted in 6 cities across America, Germany would earn their first ever World Cup title. Having topped their group with 3 wins and 13 goals, Russia would be dispatched 7-1 in the Quarter-Finals. This set up a tasty final against hosts USA, revenge would be sweet for the German ladies, 3-0 winners on the night. 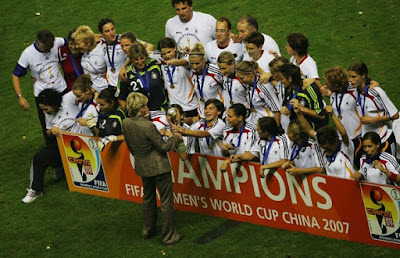 It would be goals from Maren Meinert and Nia Künzer who then secured the World crown against Sweden on 12 October 2003. The 2004 Athens Olympic games saw Germany and USA continue their rivalry as they met once more for a place in the Gold medal match. 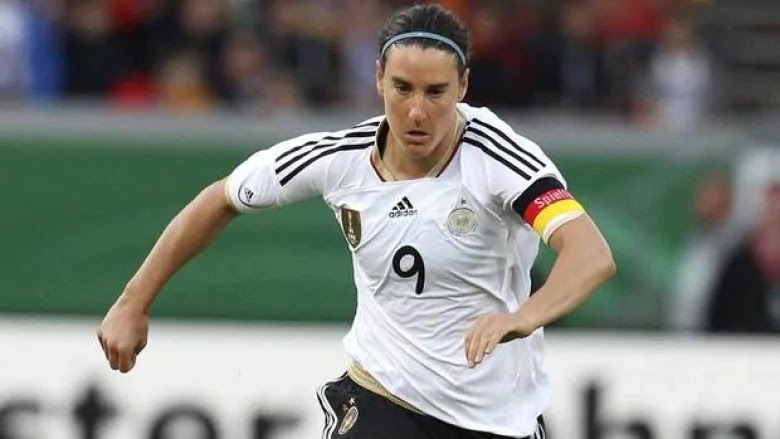 Isabell Bachor netted for Germany in the 92nd minute to level the game at 1-1 but USA would take the game in Extra-Time, the German took home a Bronze medal, the USA meanwhile nabbing the Gold. The German women wouldn't have to wait long for their next major victory however, in 2005 England hosted the European Championships. Germany appeared as favourites and did not disappoint, topping their group and seeing off Finland in the Semis to earn their Final place. Norway would be the opponents at Ewood Park, a 3-1 victory earned their Euro title in fine style. China was the venue for the 2007 World Cup, reigning champions Germany opened the tournament with a stunning 11-0 demolition of Argentina. England managed to hold the Germans to a 0-0 draw, before a 2-0 win over Japan helped them top their group. North Korea were no match in the Quarter-Finals and the regular foe Norway were swept aside in the Semis, Brazil - led by the incredible Marta - awaited in the Final. Goals from Birgit Prinz and Simone Laudehr was enough for the defending champions to regain their World Cup trophy. The 2008 Olympics again saw just a Bronze medal but 2009's European Championships was yet again secured in Helsinki. The Germans marched once more to the final, England were no match for the holders and a 6-2 win wrote that German side of 2003-2009 into the record books! 2005 was a majorly important moment in the history of the British ladies' game. From 5-19 June 2005, England hosted the UEFA Women's European Championships. 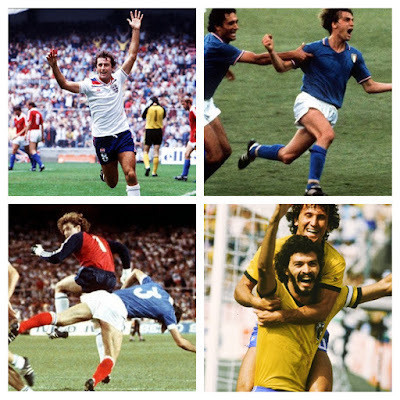 8 teams, split into 2 groups would travel to England for the campaign, England (obviously), Germany, France, Sweden, Norway, Denmark, Finland and Italy. Over 118,000 spectators enjoyed the 15 matches, a fine spectacle for the British game. England were coached by the legendary Hope Powell and were captained by Arsenal Ladies' stalwart Faye White. The side boasted the likes of Alex Scott, Rachel Yankey, Fara Williams, Rachel Brown, Karen Carney and Casey Stoney too - some squad! England's first game would take place at the City of Manchester Stadium in front of almost 30,000 fans, the hosts ran out 3-2 winners as Karen Carney netted a 91st minute winner. Sadly, the story is not a happy one for England, Denmark scored 80th and 89th minute goals to sink the Lionesses 2-1 in game 2. In the final match, England required a win to secure their place in the Semi-Finals for certain; Anna Sjöström put an end to the dream though after just 3 minutes in a 1-0 victory for Sweden that sent the hosts out of the competition. 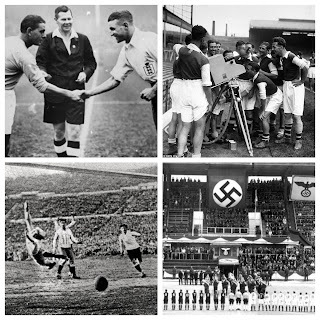 As mentioned in moment 26, Germany came into this European Championships as World Cup holders and keen favourites for success. The Germans put Norway away 1-0 in their first game before sweeping past Italy and France. With victory over Finland for the Germans and Norway's win over Sweden in the Semis, Ewood Park - host for the Final - awaited. Germany continued their dominance that day, 3-1 (below). However, even with England falling out in the group stages it would be the impact of the tournament that would reverberate for women football fans throughout the UK. Whilst of course 2005 did not see women's football hit the heights it is doing so now, it certainly did intrigue a generation of young girls, who wished to start playing the beautiful game for themselves. Hope Powell is without doubt a legend of the women's game. England manager from 1998-2013, the former international midfielder was a trailblazer for promoting women in coaching as well as black representation. Powell's England side impressed in the 2000s and Powell herself became a recognisable face to many followers of the men's game too. For me, Powell is one of the first names (and faces) that came to mind when I thought about women's football in my teens in the 2000s. Now, still just 52, Powell manages Brighton & Hove Albion WFC in the Women's Super League. 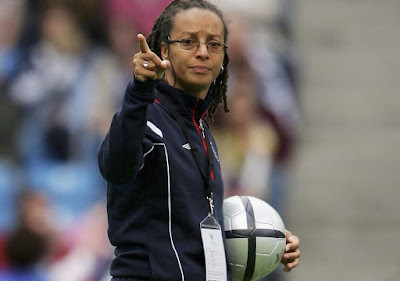 Powell was born in Lewisham in 1966, Powell started her career with the Millwall Lionesses and impressed so much that her England debut would come at the age of just 16. Moving on to Fulham, another spell at Millwall followed before transfers to Bromley and Croydon to finish her career. As a player Powell won two FA Women's Cups and a FA Women's Premier League, also earning 66 England caps with 35 goals. Powell always had an interest in coaching and completed badges whilst still playing football but it would be in 1998 that her big opportunity followed. At the age of just 31, she was handed the England manager's role after the resignation of Ted Copeland. Her first major test came in just her second competitive match at the helm, a play-off against Romania. The loser would drop out of the 'Elite' level of women's football, meaning no prospect of World Cups until promotion was earned. England, under huge pressure, won the two-legged tie 6-2 to secure the Lionesses' place at the top tier of the sport. The 2000s would be where the growth for English football would occur. 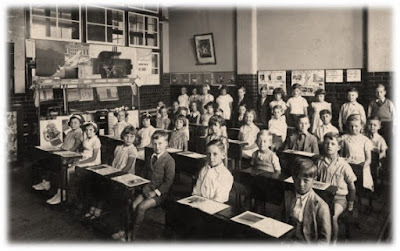 Powell was involved in all of the youth set-ups for the girls too, influencing all age brackets. 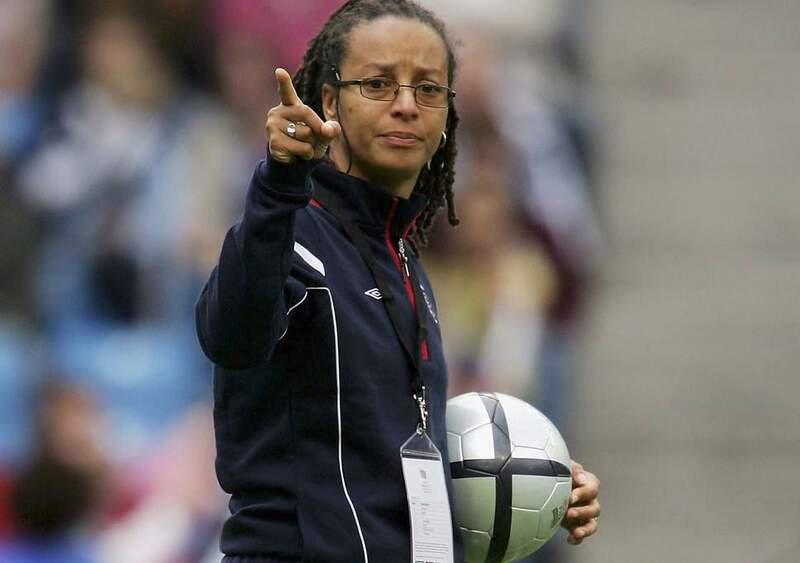 This was enabled further in 2003 as Powell became the first woman to be awarded a UEFA Pro Licence. 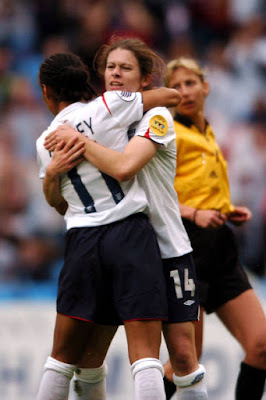 England (as mentioned above) had the honour of hosting Euro 2005 and despite a disappointing exit, Powell would use this to help further grow the sport for ladies. Without doubt England's closest shot at lifting a major trophy came in the Final of Euro 2009, Germany unfortunately seeing off the English threat in style. 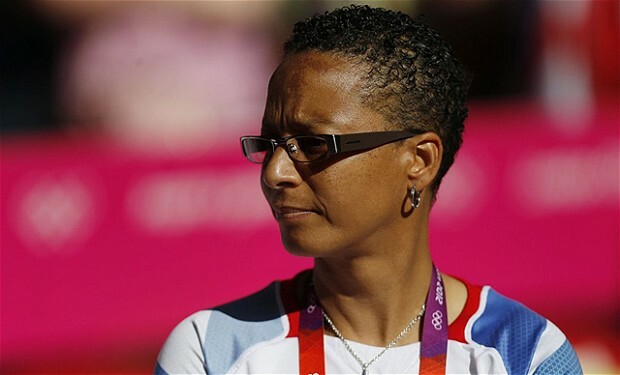 Powell left the England set up in 2013, not before she managed Team GB Women at the 2012 Summer Olympics, hosted in Britain. Whilst the side was only made up of 2 Scottish players to add to the 17 English, there was no doubt this tournament brought a wider audience to the women's game across the UK. Even the Millennium Stadium, Cardiff, hosted Team GB fixtures and despite reservations from some fans, the tournament itself was a catalyst for girls to start playing the beautiful game. Perhaps one of the most significant moments in modern women's football history is the founding of the WSL - the Women's Super League. On 22nd March 2010, the FA announced its plans for a 'super league', after a year's postponement, 2011 saw the first official eight-teamed season. The WSL has grown in popularity and influence over recent seasons, sponsorship deals and TV deals allowing a wider demographic of people to enjoy the quality of the sport. The FA Women's Premier League was founded in 1992, it established itself and found its feet in the 1990s. The 2000s was dominated by the stunning Arsenal Ladies side but in 2010 the FA decided to add a level that would sit above the Premier League. 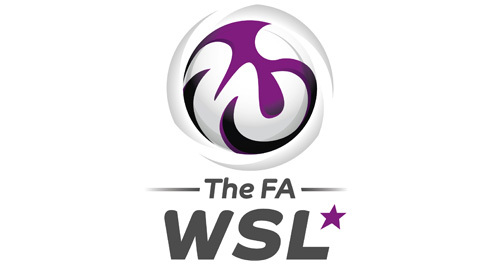 This Super League would require an application process to earn a place in the inaugural campaign, 16 teams made applications but the eight selected and granted a license were; Arsenal, Birmingham City, Bristol Academy, Chelsea, Doncaster Rovers Belles, Everton, Lincoln Ladies and Liverpool. Arsenal, as with many years before, held the honour of winning the first ever WSL title at the end of the 2011 season. Until 2014, the league teams were guaranteed a place, with no promotion or relegation in existence. However, with early success, the WSL would be expanded. 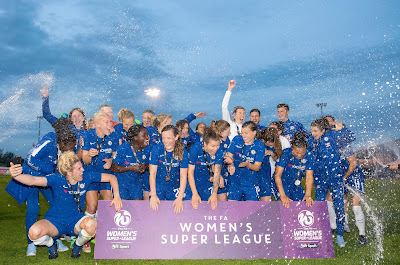 The WSL2 was added as a 10 team structure, promotion the prize to the WSL1. This was not the end of expansion though, the FA WSL wishing to keep adding to the system. The FA Women's Premier League would shift to become the third tier of women's football which allowed a clear pyramid to develop. The current system has been explained by the FA here, 2018 seeing more re-shuffles (and probably the feature for a future dedicated article). Professionalism too must be mentioned as a real benefit of the WSL and has been an important step forward in the development of women's football. In 2009, Hope Powell (moment above), was part of an FA decision to implement centralised contracts. This allowed some women to play the game full-time, without the need for other employment. This deal was agreed with 17 footballers but the addition of the WSL was a turning point in professional women's football. The first WSL season featured eight semi-professional teams but after years of rapid development and controversial measures by the FA, the 2018/19 top-flight campaign would consist of 11 full-time squads. It goes without saying that academy systems and professional football on a wider scale will see a real improvement in the years to come. Read up on the latest news from the official Women's FA competitions here. Omitting the rise of Japan which happend over last decade, their working ideas for succesful developement of womens football - copied now around the globe - and associated with it triumphs of Nadeshiko teams throughout all age categories - that's really astounding. Shows very shallow knowledge about WoSo. Alone Japan's 2011 WWC win achieved by use of technical prowess and superior tactical awarness instead of pure athleticism was a huge changing point in womens game.